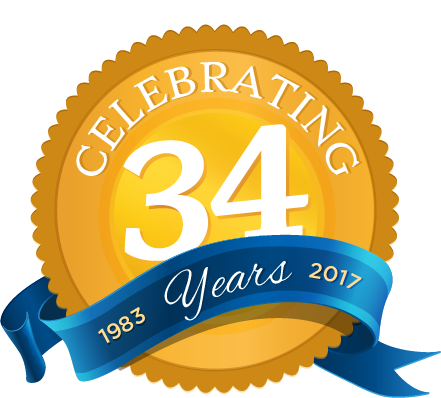 Four Seasons Roofing has been family owned and operated since 1983. Why Choose Four Seasons Roofing? For over 30 years, we have worked with property owners, just like yourself, who have trusted and relied on us for all of their commercial & residential roofing, solar, and home improvement needs. No other company on Long Island has the expertise and qualifications of Four Seasons Roofing. Among other awards and designations of which we have been recognized with, we are one of the largest GAF Master Elite & GAF Master Select Roofing Contractors in Long Island and New York, having earned the prestigious GAF President’s Club Award, which distinguishes us as one of the top roofing companies in the United States. We are fully licensed and insured, as well as accredited through the BBB with an A+ rating. The estimates I have received are very different in price. why not just go with the lowest bid? Most often estimates may appear to be offering the same or similar services, however, our experience shows that most contracts are not created equal. A low price can signal discrepancies and shortcomings in the reliability of the contractor or the actual materials. Still not sure if you are comparing “apples to apples”? No problem, we are always willing to go through the proposals with you and offer an honest evaluation so that you can make an informed decision. Most roofing and home improvement work is not a do-it-yourself project. Professional contractors are expected to adhere to OSHA safety guidelines and building codes, and have the proper tools and training to effectively complete a project. Yes. Four Seasons Roofing will provide you with no obligation estimate with one of our experienced and knowledgeable estimators. After our inspection, we will provide you with a detailed proposal explaining our findings, available options, and price, as well as a written warranty. Once you have agreed upon everything with your estimator, we will arrange to schedule your project in a timely manner. We are very accommodating with all our customers and understand that you may not be easily available for your project to get started. We always do our best to work around your schedule, and availability. What if I have some concerns? We are always here to answer any questions or concerns you may have and do our best to make this process as easy & enjoyable as possible. Before we can tell you how much your job will cost, we will need to know what it involves. We understand your concerns about budget and keeping costs under control. We have the same concerns ourselves. Therefore, the best way to estimate a cost is to have an experienced estimator come to your home or building and take a look at your roof and perform a thorough assessment. The condition and lifespan of your roof will depend on the type of roof you have, the effects of your local environment, and the maintenance which the roof has received. According to the American Society of Home Inspectors, asphalt shingles generally last 15-20 years. Additionally, roofing product manufacturers offer a variety of warranties on their products. The GAF Golden Pledge Warranty offered exclusively through Four Seasons Roofing provides a lifetime material defect warranty, and a 25 year full labor guarantee. Which is better – going over the first layer of roofing or a tear-off and re-roof? In most cases, removing the existing roof down to the plywood and installing a complete new roofing system is the best option. This includes replacing any rotted or damaged wood, installing new premium underlayment, and proper ventilation, as well as the installation of new shingles or a flat roof membrane. A re- or roof coating can be a good alternative if cost or other considerations are prevalent. All too often, roof problems are discovered after leaking or other serious damage occurs. Periodic (twice-a-year) inspections can often uncover cracked, warped, or missing shingles, loose seams and deteriorated flashing, excessive surface granules accumulating in the gutters or Down spouts, and other visible signs of roof problems. Indoors, look for cracked paint, discolored plaster board, and peeling Wallpaper as signs of damaged roof areas. Yes. A properly insulated attic and a well-ventilated roof will help you reduce heat loss and moisture condensation in the winter and heat retention in the summer, thus enabling you to conserve energy. All too often, roof problems are discovered after leaking or other serious damage occurs. Periodic (twice-a-year) inspections can often uncover cracked, warped, or missing shingles, loose seams and deteriorated flashing, excessive surface granules accumulating in the gutters or Down spouts, and other visible signs of roof problems. Indoors, look for cracked paint, discolored plaster board, and peeling wallpaper as signs of damaged roof areas. For some pictures of key danger signals, please visit our Residential Repair and Commercial Repair pages. What if I don’t know what color roof I would like? Your estimator will provide you with a book of color choices available in our area. We will also gladly provide you with sample color boards, as well as a list of homes in your neighborhood that we have completed for you to compare to your color choices. Does my roof come with a warranty? Yes, as Manufacturer Certified Master Roofing Contractors, we are capable of offering our customers exclusive manufacturer warranties on new roofs to protect them from both material and installation defects. For instance, the GAF Golden Pledge Warranty, provides exceptional coverage to homeowners for a period of 25 Years on workmanship and Lifetime coverage on material defects. Be sure to ask your estimator about all warranty options available. How do I know my roof was installed correctly? In addition to providing you with the best and safest roof warranties available, you will also receive further piece of mind as our Manufacturer bonded roofing systems come complete with third party professional inspections to assure proper roof installation. Solar PV Systems work by converting the sun’s light into energy for your home. Simply put, the photovoltaic (PV) cells convert the sun into direct current (DC) electricity which is fed through an inverter that converts the DC electricity into the AC electricity your home runs off of. What does it cost to go solar? Is it free? Many companies claim that solar is “free” which can be misleading to homeowners. At Four Seasons Roofing, we like to be open and honest with our customers. We offer ownership of residential PV systems, and you may qualify for a zero money down solar loan. Commercial PV systems may qualify for a Power Purchase Agreement. The cost of your solar PV system depends on the size of your system and can be offset with Federal and State incentives. Give us a call today and with a little information about your electricity usage we can work up a free estimate for you. We try to size systems based on the available roof space of your home or building, as well as your electric usage. If you don’t use a lot of electricity, a smaller system would work for you, where as some homeowners use so much electricity there isn’t enough room on their property to completely cover the cost of their bill. The utility companies also place a limit on systems called the 110 Rule. This means they won’t give a financial incentive to an owner that produces more than 110% of the electricity they use. At Four Seasons Roofing we try to find the perfect balance between the size of your system, your return-on-investment, and the money you’ll save. Can you only “Go Solar” in the summertime? Summer is the season that a lot of homeowners think about going solar because that is when days are the longest. It’s true that the angle and amount of time the sun shines on a solar PV system is most optimal in the summer. However, the cool temperatures of the winter cause the electrical components of your system to work at peak performance. The truth is, any time of year is a great time to go solar. If you choose to be “Grid-Tied,” or still connected to the electrical grid, then yes you will still have an electrical bill. Being connected to the grid allows your home to still have electricity when you consume more electricity than your system produces. Our free estimate will show your proposed savings from your current bill, but even if your system covers 100% of your usage, PSEG/Con Ed will still charge a daily service line and meter charge. Choosing to be “Off-Grid,” or not connected to an electrical utility, requires the use of a battery which can be a more expensive option for some homeowners. If the electricity goes out on my block, will I still have power from my solar system? If you chose to go “Off-Grid” then your electrical needs won’t be affected by utility outages. However, if you are “Grid-Tied,” for safety reasons, you also will lose power along with your non-solar powered neighbors. The reason for this is if your system to sending power back to the grid, utility workers trying to repair any wires or lines would be put at risk of electrocution. As soon as the utility company deems it safe, your power will return. Does my system only work when it’s sunny? What about at night? Solar PV systems work best when it is sunny and clear out, but they can still produce energy in overcast conditions. When the sun sets at night, homeowners often wonder how their PV system provides for their electric needs. This is why the utility companies install a net-meter to offset the electricity consumed at night with the electricity produced from the PV system during the day. Net-metering refers to your electrical bill and not any agreement you have with Four Seasons Roofing. A net-meter is an electrical meter than spins both forwards and backwards, opposed to the stand meter most customers have on their homes that spins forward to show electrical consumption. Net-metering means that as a consumer you are only charged for your “net-consumption,” which is your consumption, minus the amount of electricity produced by your system. When you are producing more energy than you are using, your meter will spin backwards. If during the course of the month you produce more then you use, you are only required to pay a service line and meter charge on your bill and excess energy is placed in an “energy bank” to use towards future months. For more information about net-metering, please go to PSEGLI.com or call their Energy Efficiency Info-line at 1-800-692-2626. Can I choose where on my house I want my system placed? In New York, the most optimal location of a solar PV system is on a southern facing pitched roof or a flat roof with minimal shading. Southwest and southeast facing roofs also work, but northern facing roofs tend to get more shade throughout the day which lowers the production of a system. At Four Seasons we try to place the PV system in the position where it will work at peak performance to optimize your return on investment as well as lower your electric bills. Through a virtual assessment, you can help us design a system in real time from the comfort of your own home. Solar PV Systems require very minimal maintenance. The panels and inverters are guaranteed to perform correctly for 20+ years and if there is ever a problem with their production, you are covered by the manufacturer’s warranty. What options do I have when it comes to re-siding my home? At Four Seasons Roofing we will walk you through all the options available to help make your home improvement dreams come true. We offer Vinyl, Fiber Cement, and Cedar Shake siding, as well as cultured stone and various masonry options. Let our experts help you choose the options that fits your style and budgetary needs. Visit our Siding page to view all of your options. What is the most popular kind of siding? Vinyl siding has long been the most popular choice in siding in the US. The reason vinyl is the preferred siding choice is that is cost effective, offered in various colors and styles, durable, and very low maintenance. Fiber cement is an insect-proof, moisture-resistant, and fire resistant material made out of cement, and, and cellulose fiber. At Four Seasons Roofing Inc, we use premium James HardiePlank siding that uses the finest raw materials to create a highly durable siding product. It is one of the most resistant siding materials available to homeowners. How do Vinyl and HardiePlank compare to each other? Vinyl and HardiePlank both come in various colors and styles, require little maintenance, and offer long extended warranties. Aside from that, Vinyl is currently more popular because it is the less expensive options. HardiePlank is considered a superior solution because it is more durable and is fire-resistant. What options do I have when it comes to trim? We offer beautiful solutions for fascia, rakes, and window trim to compliment your new siding. We offer PVC coil, Azek, and HardieTrim in both stock and custom colors to add that extra detail to your home. How will I know if I need new windows and/or doors? It’s always a good idea to replace your windows and/or doors if your current ones are contributing to drafts and/or leaks in your home, and if they are difficult to open and clean. Additionally, new windows and/or doors can increase the security of your home and help reduce outside noise pollution. It’s also a good idea to replace your windows and/or doors if you want to change the appearance of your home. Is replacing the windows and doors of my home a good investment? Not only do new replacement windows and doors increase the curb appeal and resale value of your home. They can also contribute to a decrease on your heating and cooling costs throughout the year. Am I limited to the same style and/or size of my current windows? The advantage of working with the experts at Four Seasons Roofing is that we can offer all styles and sizes of windows and doors, and can install them to fit perfectly with all the other systems in your home, including siding and cultured stone. To view all of our window and door options, please visit our Windows & Doors page. Do I have to have my windows replaced when I replaced the siding? It is always preferable to replace the windows when you replace the siding, but the professionals at Four Seasons Roofing can replace your windows at any time, if desired. If the replacement window is not the exactly size and style of the previous window additional exterior work may be required. Call the professionals at Four Seasons Roofing today to discuss all your options.